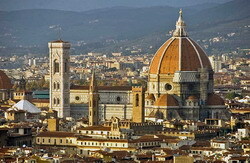 Florence, the capital of Tuscany, is the ancient city, which was founded by Julius Caesar in person. Florence can be called a city of contrasts: it harmoniously combines here the atmosphere of a great past and the spirit of a dinamic modern city lifestyle, that warmly welcomes its guests with shopping, kitchen and numerous activities. What do you have to do if you come to Florence? It is necessary to walk along the old bridge, looking into the Corridoio Vasariano, to visit the Uffizi Gallery exploring the masterpieces of the Renaissance painters, to admire the monument to Dante, to taste the famous Tuscan wines. 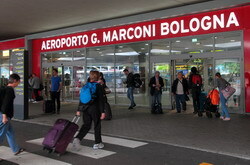 But before that you have to make a plan for some organizational issues, including the one to book the transfer service from the airport to your hotel in Florence and then from the hotel back after your holidays. 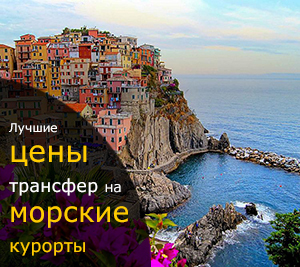 Such your forsight will help you to save your time, nerves and money in your future trip. We are looking forward to receiving your orders! Please feel free to contact us!